When most people think about preparedness, they tend to think long-term and include items in any survival kit that are great to have, but not really necessary in many survival situations. The purpose of any survival kit is to make it through the immediate crisis and aftermath – assuming that the vast majority of survival situations are over in a few hours to a few days. That means having an immediate, 72-hour survival kit is a must. This kit should be geared to helping you get through the crisis in front of you; a separate, longer-term survival cache is preferable, but not mandatory for most survival settings. To see a list of the items you should have on you as an emergency, 72-hour survival kit, check out the next page. For 72 hours, just stay home. 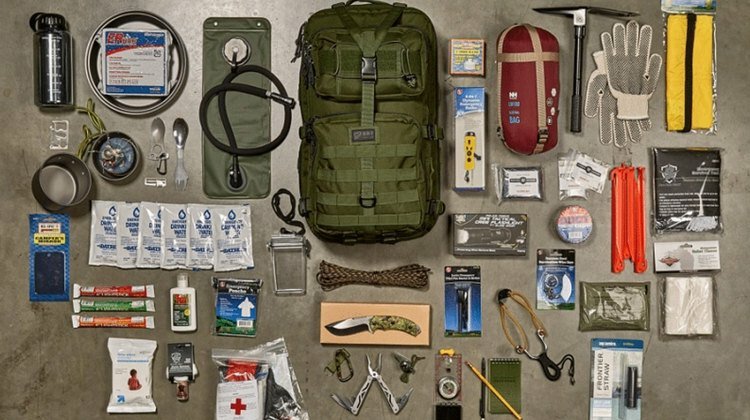 In a survival situation, this list will get you killed, trying to carry anywhere near this amount of stuff will kill you, you wouldn’t be able to carry enough food to replace the calories you would burn trying to tote a pack with all this in it. I believe this is not meant to be a bag which you keep in your vehicle or at work that is meant to get you home in the event of a SHTF scenario. Your complete kits would at your home or location to which you had to drive, ride or walk to. I agree, true get home kit would have to be much lighter. No firearms in this collapse scenario? Question from a novice: Why are survival kits virtually always described as if for individuals? Wouldn’t it make more sense to identify contents of bags for two, three or more people in a small group? Seems that redundancies of tools among several people is inefficient use of space and weight. Am I off on this? John Stelmack, think of it like this. You have a family of five. You divide up your gear like this; you carry the food and cooking tools, your wife carries the shelter stuff, one kid carries stuff to make fire, another carries stuff to collect and purify water, and the last carries tools such as knives, axes and snares. This scenario is over-simplified to make my point without having to type all day, but you get the idea. Now, one of your clan gets lost, injured, drops their pack in a river or or a ledge, or one of you need to set out on your own for a day or two see what lies ahead. No matter how the group gets separated, everyone loses because they are going to be missing one piece of your collective survival gear. Everyone should carry a minimal amount of tools to make fire, collect & purify water, build shelter, and hunt. Divide up some big stuff if you need to, but never travel without each person being able to be self-sufficient if the need arises. The real goal is to learn and become proficient with survival skills that you don’t need to carry a bunch of stuff. Learn to do more with less, and don’t rely on just what is in your kit to stay alive. Hope that helps. uh…dusk mask? does something happen at dusk you need a mask? i think maybe it’s dust mask. The first thing I would have isn’t there. Where’s the gun?